1. What is version control and why we need version controls? - Version controls are managing the changes on document or files which you are working throughout the application. - Whenever you are doing the check-in of your application it will create the snapshots of application and create the version for your files or folders that you worked. - You can go back and forth to the different version. 2. Why do we need of version controls? - It uses for collaboration everyone is working on the different task than through version controls all the code can combined together. - Version controls are shared work space where any one can access the fill latest code. - Avoid Conflict if two or more user working on same task. - It helps to track the work done by whom. - It used to store different version of your application. - It uses to maintain the backup, if your central server crashes a backup will available on your local system. - It also use to analyze the project that how your application got evolved between the versions. - Subversion (SVN): it provide centralized code controls it don’t provide the local version system. 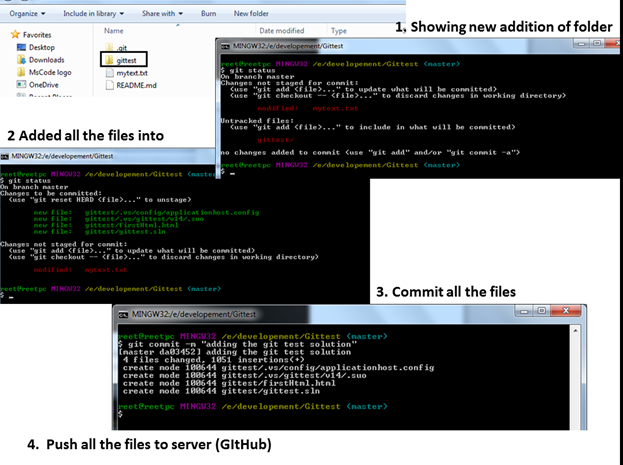 - Mercurial: It is similar to Git it is having distributed versioning system. - TFVC & TFS: It is centralized server. Typically team members have only one version of each file on their dev machine. - GIT: it is centralized versioning control. Each developer has copy of source repository on dev machine. You can maintain the version controls in local machine and maintain the history of code without network connection. GIT is open source. 4. Comparison between the usage of versioning controls popularity. 5. 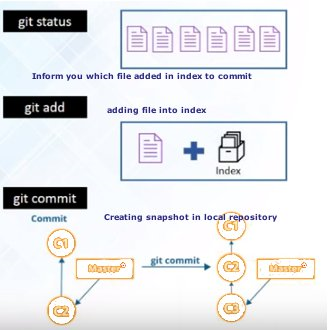 Let’s learn about GIT and GIT Hub. GIT is maintaining the Distributed repository system, there are local copy of repository system in each developer local system. 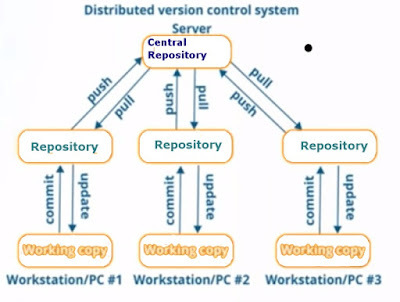 And at the top main there is central repository system its called as GIT HUB. Git hub is the main repository you can say its centralized code repository provide by GIT . GIt is using as a local repository their user can work without network connection and push their code to Central Repository (Git Hub). - Pull – to get the files from GIt hub user need to use the Pull command once it will get the files user have their own repository in their local where he can play and maintain their own version. He/she can do the changes. - Commit – this command is use to commit user local changes to Local repository. - Update - This will use to get the latest code from repository and update the local code. - Push – it will push your local repository changes to the main(central) repository. - Distributed: Every developer has their individual copy in local system. Allow distributed development of code. - Branching : It takes only few second to create and merge the branch. Master branch having production code. - Non Liner – it is marinating the version in term of tree structure not like the regular liner versioning controls like SVN. - Lightweight – Use loss less compression of code in client side. - Speed – fating data from local repository is 100 time faster than getting the code from remote repository. - Open Source: You can modify your source code according to need. - Secure : Uses SHA1 to name and identity objects. 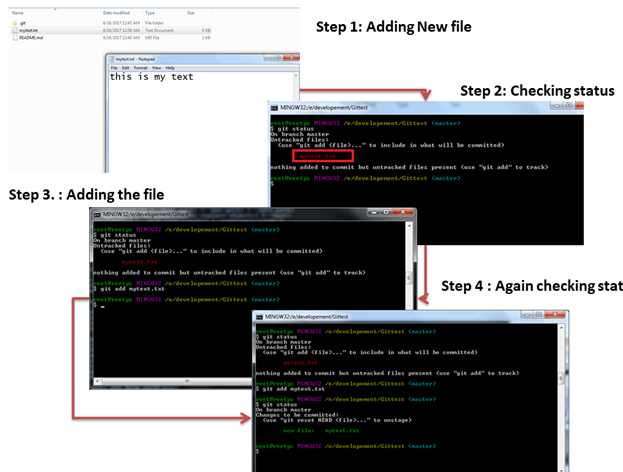 Every file has check in with checked sum and file will pulled by checked sum number. - Economical : Released in GPL license and it is free. 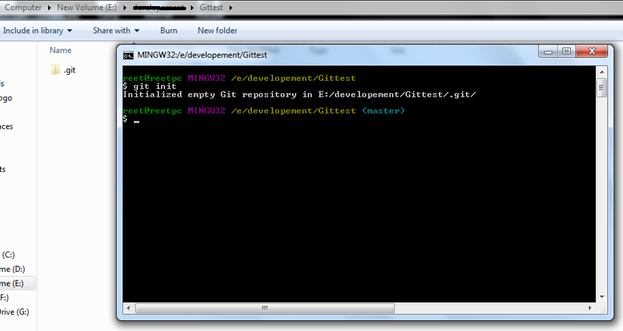 - Creating a central repository in GIT Hub. 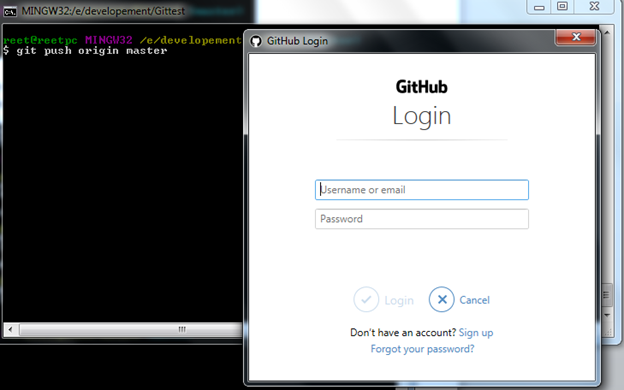 Step 1: create an account in git hub. 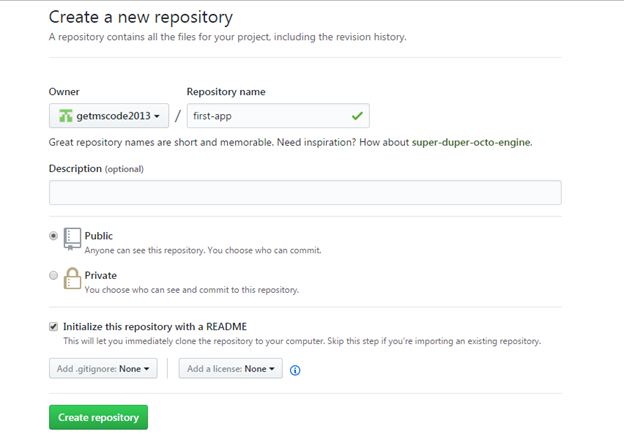 Step 2 : Create a new repository. As you selected Initialize this repository with readme you can see the read me file. Now here your central repository has created now you need a client to access that code. Step3 : You need to install git in your local machine. You can install git from. 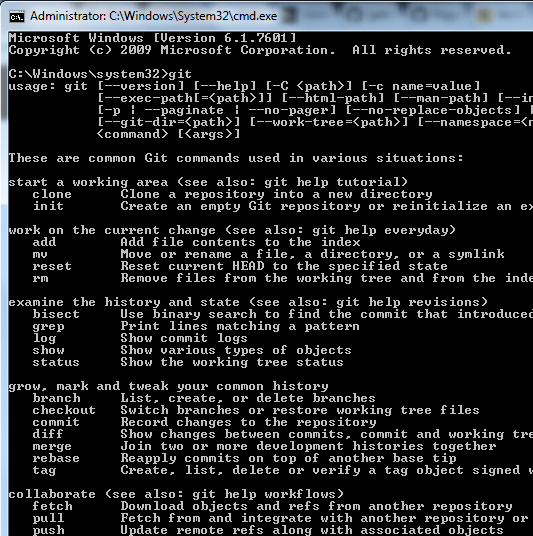 Once you install the GIT you can check it by GIT command in command window. It will give you result like below. 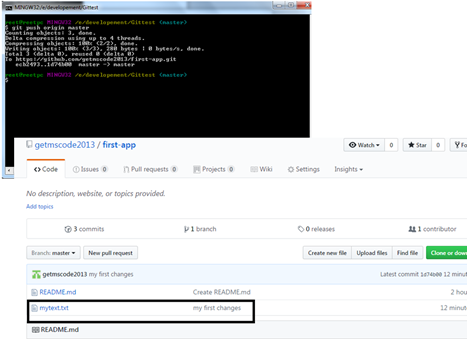 Step 4: Create Local repository Now just create a folder where you want to create your local repository the first , you need to go to that folder and just type command as git init like below. Step 1: Create the origin of github application use below command and press enter. Step 2: from where you will get the URL which you have given. Now your origin has been assign successfully. 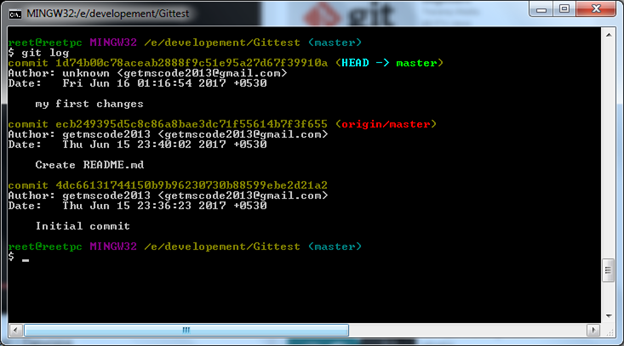 Step 3: Now let’s run git pull origin master as like below to pull the code from centre repository. Now see that we have all the file created or not? You have readme file get from server. 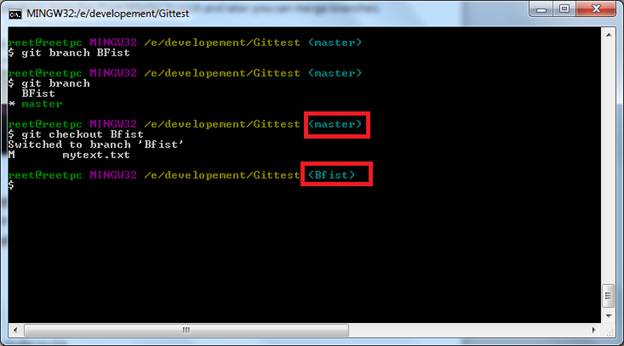 - If you are doing any changes there is process in GIt to proceed with that like below. Git Status: It will help you to check that what are the file you added or do changes. Git Add : Adding new files into your repository. GIt Commit : Finally commit the changes into repository. - You can see the step by step process of checking status and adding file. - Now you need to does the Commit into local repository along with that just provide the comments for your commit for future reference? By doing this you are committing your file to local repository not into centralised server. 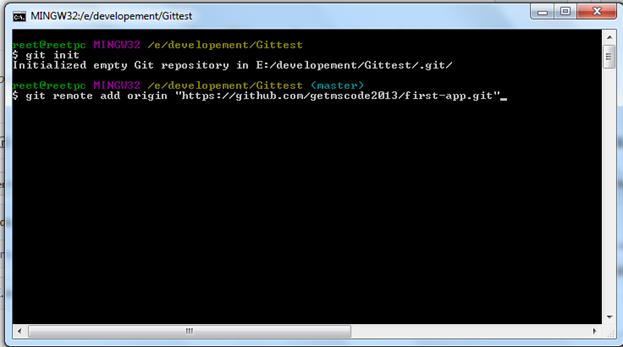 - Use git log to see the operation done on your repository. Once you give that it will ask you a password like Blow screen. Once git will authenticate it successfully it commits your changes to server. 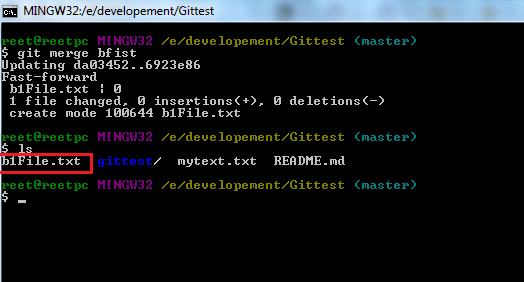 You can add a folder also into GIT. Whatever the code you got it’s called as the master branch. If you are working with multiple task that you don’t want to merge at this time than you can create branches from master branch. 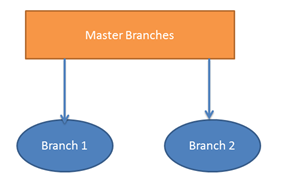 Like in Fig you can create many branches from Master branch and later you can merge branches. - Let’s see how to create branches. - From right hand side you can see which branch you are currently working with. $git branch [BranchName] to create new branch. Now lets create some files in the branches and do the commit and then check is that present in another branches or not. If you will see we have create b1file.txt and than commit it to b1fist branch and see the list of file it is present their. Once you create the branch finally you want to merge the branches all together. Its way of combining the different work all together. Allow to branch of you code and develop new feature and combine it. 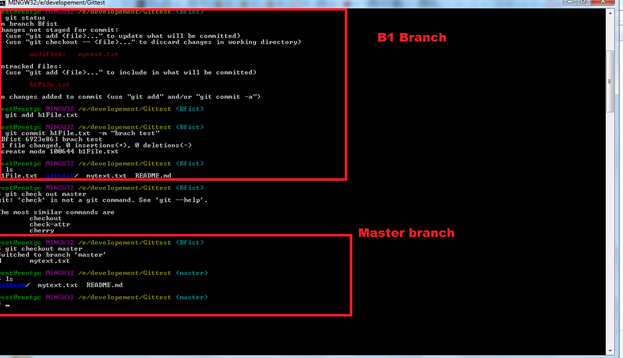 Let’s see how we can merge the BFist branch changes to master branch. You should be present to the source branch where you want to do the merge. [Like you should be in master branch]. Now you can see the file in master branch. But remember still you have Bfist branch and if you will do any changes you need to do the merge again.